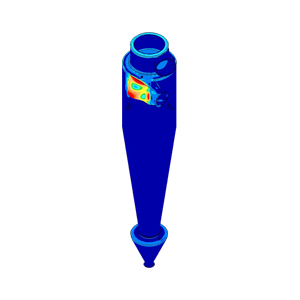 FEA-Solutions (UK) Ltd - Finite Element Analysis For Your Product Design | 554: Cyclone Explosion Simulation the structural response of a Cyclone due to internal explosion. The results indicated localised weaknesses of the design. The report provided a number of recommendations on how to strengthen the structure.